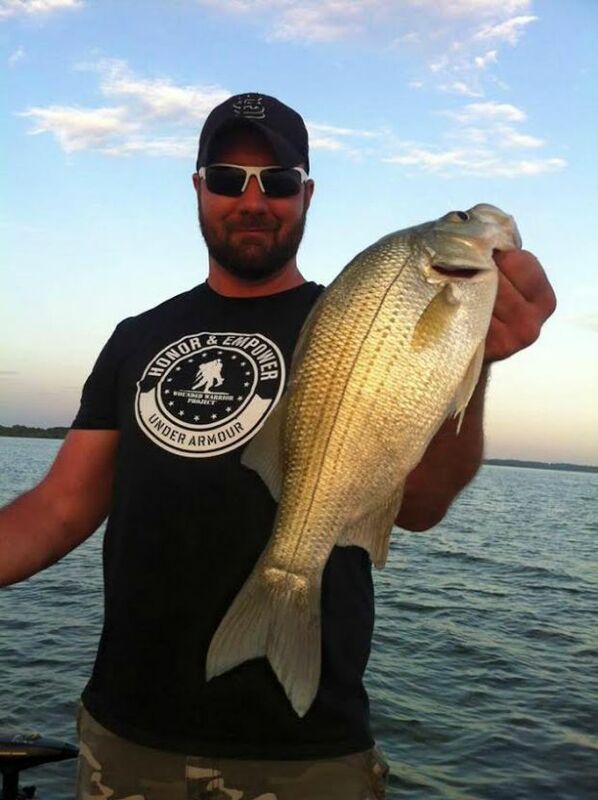 Here is the latest Grand Lake OK fishing report from local guide Tony Coatney for August 10, 2015. Well what a week we had! A lot going on…had the Bobber Drop and the 75th Birthday Part going on at Grand Lake this last week. Believe me I’ve seen it all around here. This weekend on the lake, seeing people on jet skis with people on the back with nets – let me tell you this lake can bring all the crazy people out! I saw people driving boats where they should never be…cutting anyone and everyone off because all they cared about is finding a bobber! It’s crazy to see how people act when the Bobber Drop is going on. People when you have your kids on your jet ski or in your boat flying across people fishing – that is not teaching them anything but bad manners. People teach your kids to respect other people fishing and go around them, towards the middle of the lake. You are doing nothing but teaching them wrong. I was at Governors Island cut thru and let me tell you people that is nothing but rude cutting thru in front of fisherman! The people I had out from Minnesota and they were here because of the Bass Masters Classic and all we are showing these people from other states is how rude we are here at Grand Lake. Also, that’s the second group of people I have had because of the Classic coming back to Grand Lake. People quite showing them how rude we can be! Large mouth – have been really good jig, big worm on points. White bass – still going crazy on silver rainbow minnow. Crappie – boat docks and deep brush piles. Catfish – jugs and drifting. Spoonbill are still jumping everywhere. Also had Thomas Story and his daughter Ellie Story and she caught her first fish ever, love it! Also don’t forget to book that trip this winter to Falcon Lake its full of water and getting good again. Until next time, Good Luck Fishing from Tony Coatney!